How many writers out there have shelved full manuscripts? Not even shelved them, but somewhere in the hidden crevices of their laptops sit dusty novels that have been loved and painstakingly brought to life, only to be rejected for likely a multitude of reasons. It is quite incredible how we slave over a work for months (maybe years) then succeed in completing it only to be read by a few pairs of eyes. Why? Why do we do this to ourselves? During the writing process, are we consciously thinking about how our readers will feel? Is the reader in the driver’s seat here? Is the reader more important than the writer? This question has weighed on my mind recently—in part because I haven’t been able to let go of my second novel. It’s one that in retrospect and after gruesome dissection, I came to the conclusion that it is too real. How real should fiction feel? Well, that all depends on the reader. To those who are close to a writer, it can be the case that they see too much of themselves or others they know in the characters. That alone can be painful even if the story is fictional. Note of interest – As I sit here writing this post, the song I often listened to while writing that novel, just came on the radio—a song I haven’t heard in three years. Amazing how the stars work! It is a song that permeates through that novel. It is gut-wrenching. At the time, it helped feed my novel with the tone I was looking for. Being the writer, it satisfied my need to tell this story through my eyes. Reflection is a necessary part of who we are as writers. I see now how unlikeable my main character is in that novel. It’s true. What’s lovely about this, is that I’m not bothered. It has taught me an important lesson. It has made me read other authors works more critically. It has made me reflect on the novels that drew me in as a young adult and those that carried me through my university years, my years as a young mother and my years living abroad. 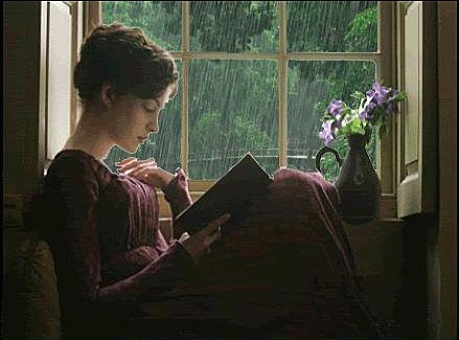 Without a doubt, it is those novels whose main character captivated me, the ones with whom I connected and made me smile or laugh out loud, those who touched me and the person I aspire to be, that made me read to the end. Yes, I confess, I’m one of those readers who needs to be lured and fed in order to finish a book. I like liking the main character. I want substance of course like any reader, but if I like the main character then I won’t want the story to end. The best indicator for me is when I find a desperate need to read the book as slowly as humanly possible—fighting the urge to gobble it up. I simply want the story to last. HELLO Susan! So, if I, as a reader, want to like a main character then how could I expect anyone to want to read my unlikable main character? A costly but important lesson learned. The joy in writing the main character in The Particular Appeal of Gillian Pugsley enabled me to honour that lesson. Gillian is a character so real to me. As I created her, I grew with her and never cast aside the needs of potential readers. She is one I care deeply about and if I feel that way about her, then I have a greater chance of my readers feeling the same. There’s no question that with every book I write, I learn a valuable lesson or two. My writing improves with each novel I write. I don’t think we ever stop developing as writers. As a newly published author, I take well-intentioned, constructive criticism seriously. I want to learn from readers’ reactions and try to understand their point of view. Point of view and tense and time lapsing are often aspects in our novels that readers feel passionately about. What jars our readers? What makes them want to scream or shake their head? What makes them want to reach into the pages to hug our characters? We all need to learn through our own process of writing. It can be clear from the start for some writers. For some of us, it takes writing a few novels, growing thick skin in the process, before it really hits home—before we come to realize that there doesn’t need to be a battle at all. We are crafting our novels to be read by readers. The reader needs to come first. I suggest we revel in the process, write passionately, love to love our characters and love to hate some of them and never stop reflecting on our work. The more we write, the better writers we become. The better writers we become, the more readers we will attract. No battle! ← Is Midsummer a Writer’s Dream?